Windows 8.1 have recently been released by Microsoft which is an update from Windows 8. In less than a year microsoft have released an update for windows 8 which is now available for purchase on microsoft store or update from another version of windows. This update is free for those users which have previously purchased windows 8 and are using it. Windows 8.1 have a variety of new features and improvements from windows 8. Listed below are some of them. 1st of all talking about loading /startup time of windows 8.1 as compared to previous version of windows, Windows 8.1 starts 3x faster than rest of windows version like windows 7. Its not only loads faster than previous version of windows but also loads faster than its own previous version windows 8. Talking about Startup Screen of windows 8.1, its more customizable than that of the windows 8 and previous versions. With new tile sizes,backgrounds designs, themes and colors windows 8.1 startup screen is more beautiful,user friendly,fast and lighter. 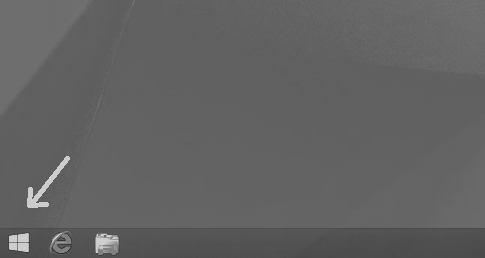 Windows start button is back now. Its is improved as comparison to previous windows 8. As in windows 8 start button is hidden and have tap or click in left corner to show startup screen but now in windows 8.1 start up appears all time. Windows 8.1 multi-tasking is now better than Windows 8. In windows 8 you can add two tasks side by side but now in windows 8.1 you can add four task side by side by reducing the size of each app on the startup screen. Bing smart search have been improved. Now you can search your required files on pc and disk and web services. Email management system have been improved. Now with better and improved mail system you can manage the email the way you want. Keep only latest newsletter or get emails from multi account and microsoft account. If there is link in email, you will be able to see a quick preview of that email in right side pane. Windows 8.1 new app store has just got better. Availability of categories have made your app search better than ever. Interface have been improved too. Windows 8.1 have a new feature, boot directly to desktop. It gives windows 8.1 an enterprise view. To enable this setting you have to right click the desktop and go to properties and then click navigation tab and check the box ” Go to desktop instead of start when sign in. Enhanced support for BYOD policies for businesses by increasing device management options. Windows 8.1 has a new Open Mobile Alliance Device Management (OMA-DM) built in it. With this system device user will be able to access network resources from any internet connection securely. Microsoft have improved Connectivity in windows 8.1. With better management system of wifi and faster interface user will be able to easily surf and work faster than ever. These are some of the new improvements in comparison to Windows 8. Hope you like the latest version of Windows.